Pawan Sharma | May 21, 2012 | Important Files in RHEL | RHCSA Objectives Be the first to comment! In this post we will discuss one of the most important file in Redhat Enterprise Linux (RHEL), which is /etc/passwd. This file is very important because this serves as a default database of user on the system. 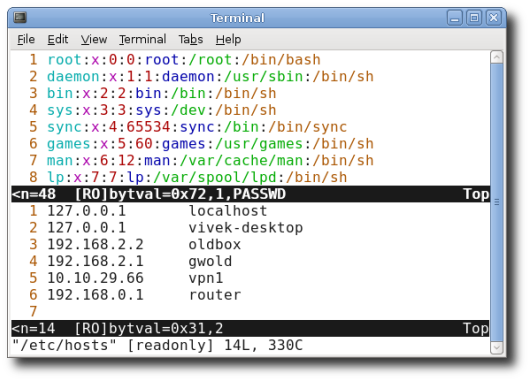 Using /etc/passwd we can add users, modify user settings, etc from command line. For user administration part of the RHCSA Exam this is the most important file. Using /etc/passwd you can do the exam tasks and also check the results to confirm your completed tasks related to users. Each entry in /etc/passwd file contains 7 fields. 2. Password: An 'x' character indicates that encrypted password is stored in /etc/shadow file. The 'x' refers and matches password value from /etc/shadow file. If we put * inplace of x then user can't login. If we keep second field blank then user can login without password. 3. User ID (UID): Each user must be assigned a User ID (UID). UID=0 is reserved for root user and UID 1 to 99 are reserved for other predefined accounts. It is a unique identity number for every user on the system. 4. Group ID (GID): Whenever a user is created a primary group is also created for a user. Every user have its own primary group but it can also have supplementary groups. 5. GECOS: This is optional and only used for informational purpose. Usually it contains the fill name of the user. You can say it as a comment field. 6. Home Directory: It represents the absolute path to the user's home directory. If this directory does not exist the '/' directory becomes the users home directory. 7. 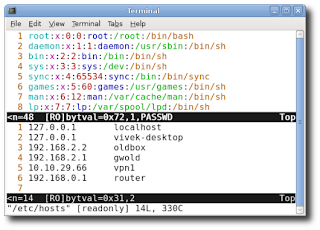 Shell: The absolute path of command or shell (/bin/bash). Typically this field contain information about user's default shell. This file is one of the most important file as far as RHCSA is concerned. So do a lot of experiments on this file, but before making any changes to this file take a backup of this file.